Here you can activate it! Once you activate your code you will see how V-Cards of Mobile Marketing functions. It takes approximately one minute to activate the code. How do I activate the code? 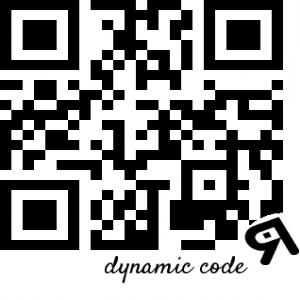 To activate the code, click on the image above and either scan the code with your mobile device or access directly via the administration web site (click on the link etc.). Then follow the instructions. It will take approximately one minute to have your V-Card. We will then send you an email with your V-Card along with operating instructions so that you can edit the label’s contents and analyze statistics. Once the code has been activated, it can display the dynamic information you specify. You will be able to analyze the statistics of the visits you receive in real time. FOREVER. There isn’t any expiry date. Once you activate your code, it will be operating until you decide to cancel it. How much does this trial cost?